Check it out but as you can tell from the title I didn’t buy the video excuse. I’m not trying to toot my own horn because almost no one bought that excuse. 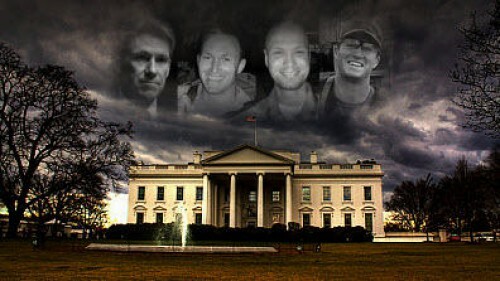 It was so incredibly unbelievable it boggled the mind how Obama and pals thought they could get away with it. Now, as DrJohn wrote about yesterday, we learn that Obama was told within an hour of the attack that it was a terrorist attack upon on our consulate. 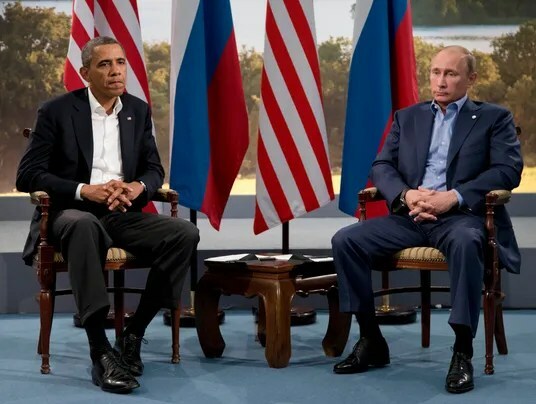 Things aren’t exactly warming up between the Obama administration and Vladimir Putin, even as President Obama arrived in St. Petersburg for the G-20 summit. Putin called Obama Secretary of State John Kerry a liar over Kerry’s testimony this week before Congress. The question may be al-Qaeda’s influence on the Syrian rebels, an issue Kerry has downplayed. Putin has criticized Obama administration claims that Bashar Assad’s government attacked the rebels with chemical weapons. Last month, Obama canceled a summit meeting with Putin after a series of U.S.-Russian disputes, including Russia’s decision to grant asylum to National Security Agency leaker Edward Snowden. Egypt’s top military commander announced Wednesday President Mohammed Morsi had been ousted and replaced by the chief justice of the constitutional court as the interim head of state. 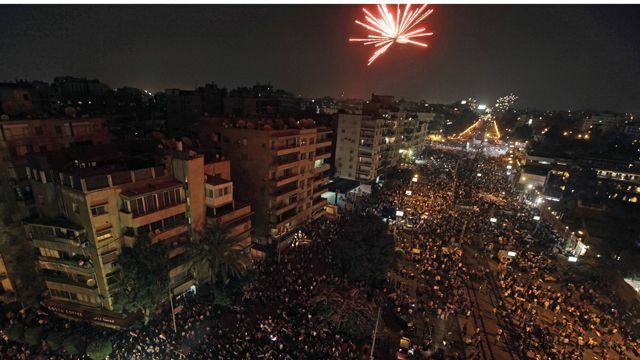 In addition, Gen. Abdel-Fattah el-Sissi said the country’s constitution has been temporarily suspended and new elections would be held. ≈ Comments Off on Will U.S. Designate Egypt, Pakistan, Iraq and Nigeria As Religious Freedom Violators? (CNSNews.com) – As the State Department prepares to release its annual report on international religious freedom Monday, a key issue for many Americans concerned about religious persecution is whether it will blacklist a handful of particularly egregious violators – or, as in previous years, ignore the recommendations of the U.S. Commission on International Religious Freedom. The question is especially sensitive in the case of countries where the plight of minority Christians has worsened, even as their governments benefit significantly at the cost of U.S. taxpayers. Among the religious freedom violators are four of the top ten recipients of U.S. foreign aid in fiscal year 2013 – Egypt, Pakistan, Iraq and Nigeria. Another is Vietnam, whose communist government has seen its diplomatic and economic ties with the U.S. improve dramatically over the past seven years. On Monday, Secretary of State John Kerry will release the administration’s report on the state of religious freedom around the world in 2012, a requirement under the International Religious Freedom Act (IRFA), which sought to enhance the importance of religious freedom in the pursuit of U.S. foreign policy. The primary tool available to the executive branch under the 1998 legislation is the designation of “countries of particular concern” (CPCs) – those whose authorities either commit or are judged to tolerate violations of religious freedom. CPCs are subject to U.S. sanctions or other measures designed to prod governments to improve. But a handful of other countries deserve to be on the list too, in the view of the U.S. Commission on International Religious Freedom (USCIRF), an independent body established under the IRFA, comprising unpaid commissioners appointed by congressional leaders and the administration. When it released its own yearly report three weeks ago, the USCIRF pressed for Egypt, Iraq, Nigeria, Pakistan, Tajikistan, Turkmenistan, and Vietnam to be designated CPCs. In some of those cases, the recommendation has been disregarded for years. Pakistan, home to some of the world’s most notorious blasphemy laws, has evaded CPC status despite USCIRF recommendation every year since 2002, as have Turkmenistan since 2000, Egypt since 2011, Nigeria since 2009, and Tajikistan since last year. The other two, Iraq and Vietnam, were both previous designated CPCs. The Bush administration removed Iraq in 2004, following the fall of Saddam Hussein regime; and Vietnam in 2006, citing improvements as a result of active lobbying of the communist authorities in Hanoi. Each year since 2008 the USCIRF has recommended that Iraq be returned to the CPC list. In the case of Vietnam, the commission never agreed with its delisting, and has recommended its return every year since, also to no avail. Last week House Foreign Affairs Committee chairman Rep. Ed Royce (R-Calif.) introduced legislation calling on the administration to relist Vietnam as a CPC, citing authorities’ refusals to grant legal recognition to churches, as well as assaults, harassment, imprisonment and home destructions targeting Christians. A Government Accountability Office (GAO) report earlier this year examining compliance with the IRFA noted tensions between the USCIRF and State Department as each has sought to do its respective job.